Members of West Fargo’s District 13 Republican Party have endorsed candidates for election to the North Dakota Legislature. 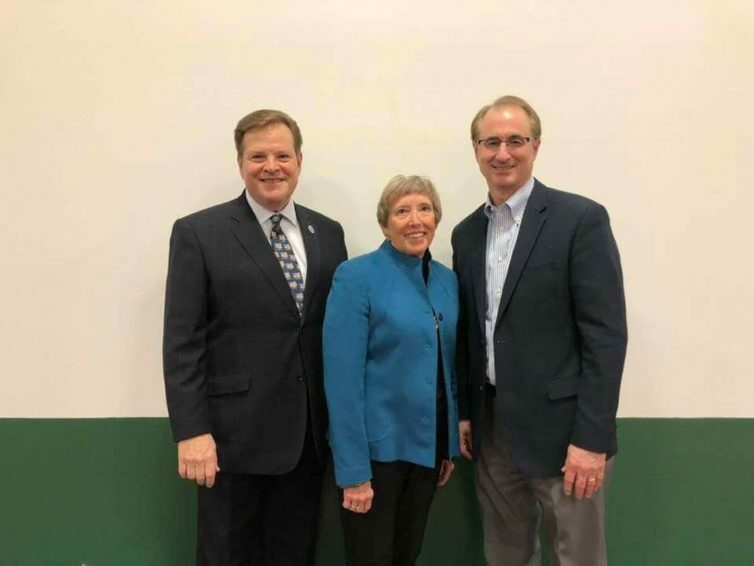 Meeting March 20, they unanimously endorsed Sen. Judy Lee and Rep. Kim Koppelman for re-election and Austen Schauer for the House seat being vacated by Rep. Christopher Olson. Olson, who is now the District 13 Republican Chairman, decided not to seek re-election because of current time demands of family and business. Lee has been in the Senate since first elected in 1994, when she began serving on the Human Services Committee, which she chairs. “Substance use disorders, including not only opioids and prescription drugs, but alcohol, are priorities for us to address. The state is short of workers to help, from psychiatrists to licensed addiction counselors and peer supporters. Changes in health care continue to require state responses. I look forward to continuing the work we are doing in these areas and others,” stated Lee. She also has served on the Political Subdivisions Committee and is on three interim committees. She is a leader in several national organizations. Community involvement includes being on the boards of several local organizations. Lee is a retired real estate broker. Koppelman has also served in the House since first elected in 1994. He chairs the Judiciary Committee, where he has worked on many criminal and civil justice issues over the years, with a major focus in the most recent session on “Justice Reinvestment,” which involves criminal justice reform, reducing overcrowding in our jails and prison, and effective treatment for those with chemical dependency, all aimed at rehabilitation rather than merely incarceration. “From Justice Reinvestment to public safety, we’ve worked hard to be both tough on crime and smart on crime. That’s important to our state and I look forward to helping significant efforts like this to continue,” he said. He also serves on the Political Subdivisions and Administrative Rules Committees as well as numerous additional state and national boards and committees. He is former national chairman of the Council of State Governments (CSG) and is the owner of Koppelman & Associates, LLC, a communications, advertising and marketing firm. Austen Schauer is a longtime TV newsman who retired from journalism in 2013. He since has worked in development for an area private school and now works for Prosource, a staffing agency in Fargo. He covered politics as a news journalist and draws from a bevy of experiences. His wife, Angie, recently retired as a long-time teacher in the West Fargo School District. “My passions include education and business and, with personal and family experience in both fields, I am very aware of the challenges of education today and also understand the needs of businesses today, what it takes to succeed, and how government policy can help or hurt growing businesses,” Schauer noted. Lee, Koppelman and Schauer will be on the ballot in the coming election.